One of my dad’s favorite stories to tell is the one where he and my mom are hiking in the woods and she went off to take a pee. A few moments later she starts yowling and he runs up to her only to find that she had squatted down in a HUGE patch of stinging nettles. 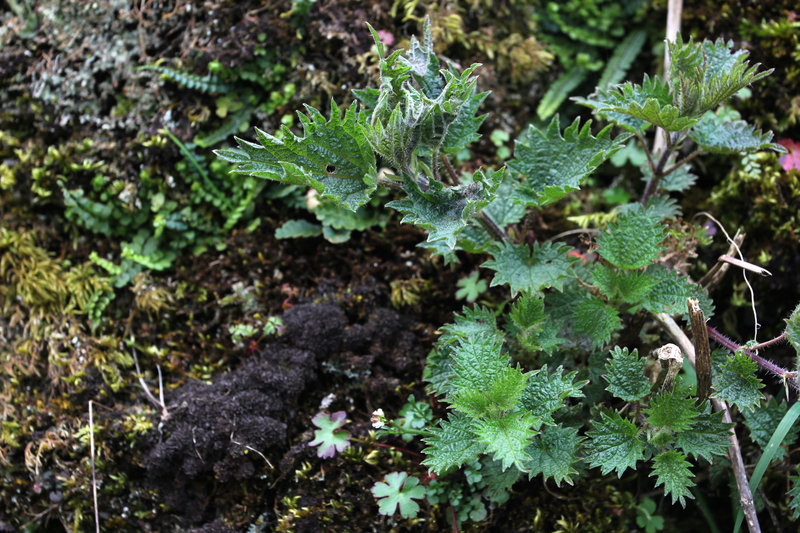 So, from a young age I learned exactly what stinging nettle looked like, and how to avoid it. The nettles must be picked when they are young and tender, which is March/April in this part of Ireland. You also MUST use thick gloves when picking them to avoid getting stung, as the sting can create a nasty rash and lasts for days. Heating the nettles in water (or in this case broth) takes the sting out and makes it possible to eat. And oh how good it tastes! I was a nettle virgin before I tried this, and now I am a convert. Melt the butter or heat the oil in a stock pot. Add the chopped onions and potato, toss, then sweat for 10 minutes. Add the stock and boil until the veggies are cooked. 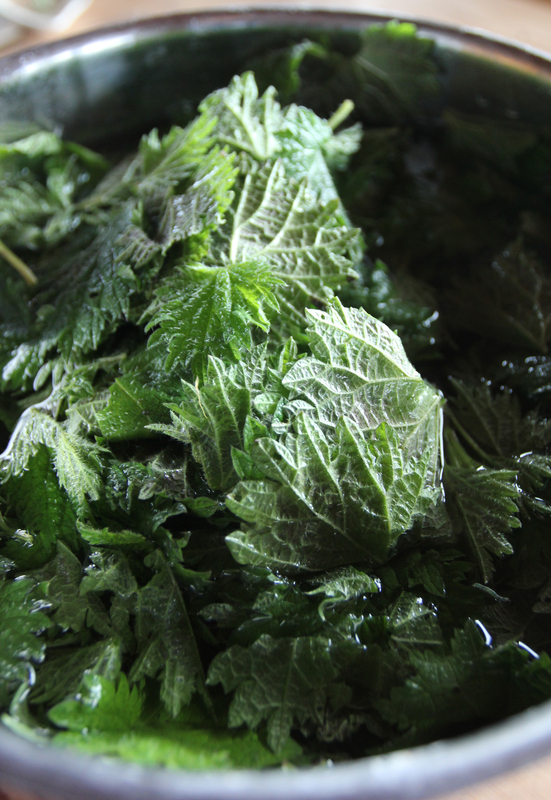 Add the washed and chopped nettles (remember gloves!) to the boiling liquid. Simmer for a 5 minutes then add the milk and liquidize using an immersion blender. Serve hot! 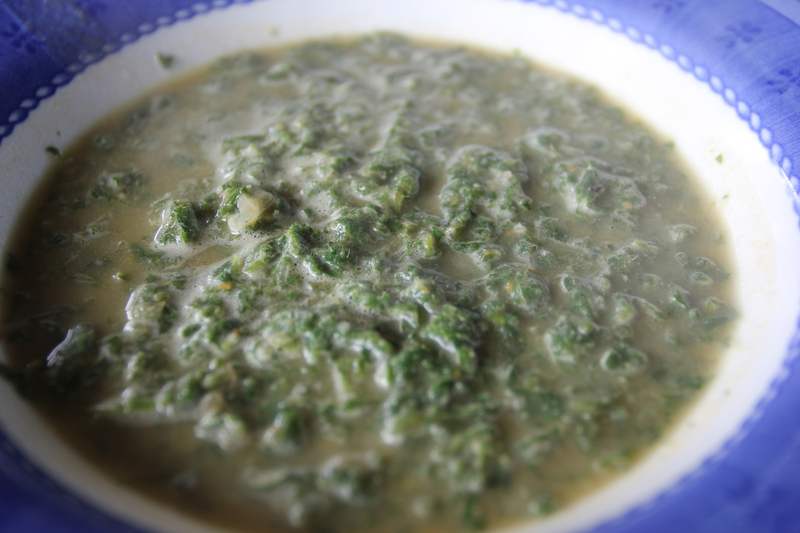 Used to make the soup when I was younger and more nature-oriented:) Sour cream goes well with it, and some spring onions or chives. Thank you for sharing! Thank you for the garnish ideas! I’m traveling, so I didn’t have time to try out different garnishes. Glad you like it!